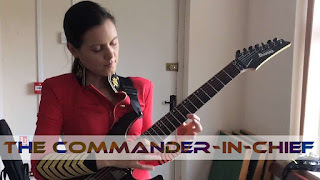 The Commander-In-Chief: Toccata & Fugue - LIVE - rehearsal and audition for major record label. Behind the scenes footage of The Commander In Chief's own version of Toccata & Fugue, performed live on October 30th and 31st 2016, (+ a little surprise at the end). This was part of a secret project, in cooperation with a major record label, where The CIC made her very own versions of classical masterpieces.The arrangements were made by The CIC, in cooperation with producer John Haywood. Shortly after these two performances she fell ill, when a vicious parasite infection wrecked havoc on her body for weeks. It would take her 16 months to recover, before she could get back to playing guitar again. In March 2018 she announced that she was back in business, recording a double album with her own original music. 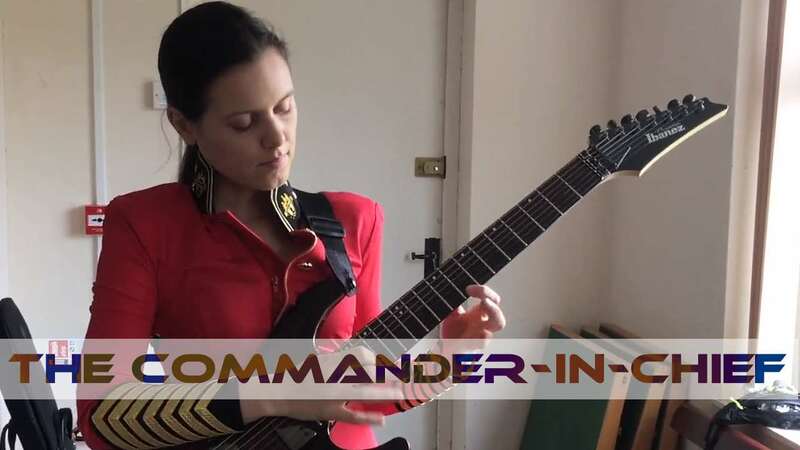 For more about that project, including a sneak peak of the music, join her on patreon.com/thecommanderinchief. These videos were filmed by The CIC's manager/mom. They were meant for practice purpose and were never meant to be released to the public. However, The Chief wants to share this with her fans, so they can see for themselves what she spent months working on, before her illness. She also worked on another classical masterpiece, and she might release videos of that later. Toccata & Fugue - LIVE - rehearsal and audition for major record label.